Burnout is described by Wikipedia as “a psychological term that refers to long-term exhaustion and diminished interest in work. Burnout has been assumed to result from chronic occupational stress (e.g., work overload).” Does this sound like a normal day of real estate with its ups and downs? Burnout can creep into your real estate business little by little and it has happened to many of us. Now is the time for confession: In my 34 years of real estate I have been at burnout more than once. In fact, it hit me so hard once that I was considering other options for a career far away from real estate. In the middle of burnout, I continued to drudge through my workdays, was grouchy and didn’t find many joyful moments in my day. This went on for weeks, months. I did a lot of self-talk and praying to work on my attitude, but it didn’t seem to get any better. People noticed that I was less effective and not a pleasure to be around. What did I do? I took some time off from work. Not a month or anything like that but a couple of weeks and several long weekends. I had someone else look after my business for me. I read some books and went shopping for fun. I cooked and baked. I gardened. I had friends over to play cards and to hang out. In other words, I starting to live again and was not being all-consumed with real estate. This had been the missing element. The burnout feeling started easing. I eased back into work and found I was smiling more and more. I decided to start picking and choosing the type of business I wanted to keep and let some of the other kinds that I found were depressing go. This was part of what was getting me down. It not only freed up my time but greatly reduced my stress. I stopped worrying about production levels and trying to push myself to satisfy someone else’s expectations that were not important to me. I needed a break from the pressure if I was going to stay in the business, and it had to be on my terms. And finally, I looked for something I really wanted to do within the field of real estate and decided to learn something new and get really good at it. This gave me a new, fresh purpose and pushed the burnout even further away. I began to get excited again and rejuvenated. After a while I was past the feeling of burnout. It took realizing what was happening, taking a break, doing some re-evaluating, making adjustments, getting rid of the downers, saving time for myself and setting out on a new course finding something of new that had been in the back of my mind for years. The refocusing saved me from bailing out of real estate and being a survivor agent. For me, I was able to get through it. Others may decide a change of career is the solution. Some may seek medical or psychological help. Whatever the solution, be aware of the symptoms and do something to move forward and past it. 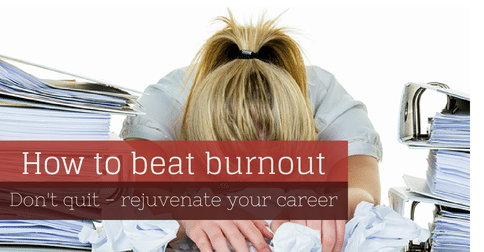 Burnout and real estate — what to do? Have you ever been there? It has happened to the best of us. This post by Debbie Reynolds was originally published on ActiveRain. Debbie is a real estate agent with PenFeld Realty in Clarksville, Tennesee. She can be reached on her website, Buy or Sell Clarksville.